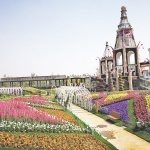 Shanghai Miracle Garden – Disney in Flower Art Paradise, located in the central area of Pujiang Country Park, covers 43 hectares. 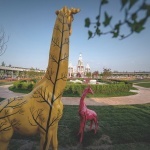 The Park was built in 2016 and put into trial operation in 2017. 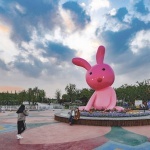 It has received nearly 2 million visitors from all over the world. 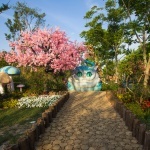 Miracle Garden is a forest Flower Paradise which integrates world flower art, intelligent parent-child development and popular science cognitive education. 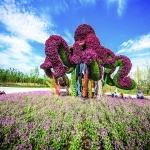 Fantasy Valley, Miracle Blanket, Monet Garden, Labyrinth Garden and so on have become the visual feast of flower art. 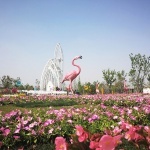 Flower Elf Castle, Elf Tree Theatre and Rock Kingdom Adventure Island, Water Paradise and Intelligent Children’s Exploration Center, which are loved by children, make it a fantastic classroom of nature and popular science knowledge. The flower fairy castle is the symbol building of the garden and the highest scenic spot in the park. 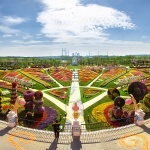 Standing on the castle, you can overlook the miracle carpet made up of about 10,000 square meters of flowers. The design of the flower fairy castle is inspired by the fairy tale of the flower fairy queen’s dream castle. 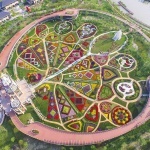 Flower carpet named “Love Wish Tree” flower artists accurately measure the plant height, color, variety and duration of flowers, creating a beautiful landscape of flowers on the ground. Flora is the God of flowers in Roman mythology. 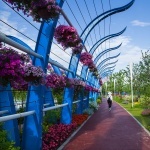 The Church of Flora in the Miracle Garden simulates the posture of flowers blooming with hollow steel structure. The whole building looks like white buds. With the incense of flowers pounding up the stairs and gazing at every loyal steel sculpture, it symbolizes the beauty and firmness of a romantic love story. The Elven Tree Theatre is an open-air theatre in the forest, and the talking Elven Tree is the soul of the theatre. 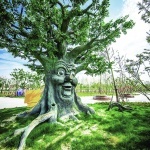 When the story-telling mode is started, this Elf tree with a kind face will tell children many secrets of the forest garden, which is another fantastic place for children in the miracle garden. 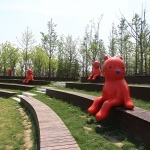 The cross-border art, Fantasy Flower Valley, which coexists with gardens, consists of stacked stones, flowers and shrubs, displaying different artistic effects and experiences in different periods. 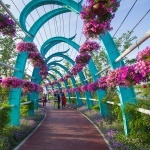 Monet Garden, the ecological aquatic botanical garden, imitates the gorgeous scenes in Monet’s famous paintings “Water lily” and “Japanese Bridge” to show the beauty of artistic water garden. Mini Happy Farm has a lot of ornamental vegetables and fruits. The plants with beautiful appearance and delicious taste make tourists enjoy planting and vegetable taste experience. 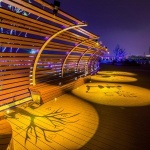 Constellation Garden, carefully build constellation garden, especially select the representative plants of each constellation and LOGO, to explore the mystery of nature and constellation together. Immersive Interactive Experience with Science Popularization: James Jones, a famous Hollywood scene director, brings popular science knowledge, technology and new materials to children with his unique Hollywood perspective and artistic techniques of scene design. Come to a brand new popular science entertainment experience. “Miracle Flower Show – Flower Dance Lighting Show” is the first large-scale flower art exhibition in China that integrates flower art, cultural exhibition and lighting interaction. The beautiful and dynamic lantern show of flower dancing makes the night life of Shanghai no longer just Huangpu River. Ailu Marco Polo World Series is invested, constructed and operated by Ailu Group. iGreenDesign is the general contractor for design. 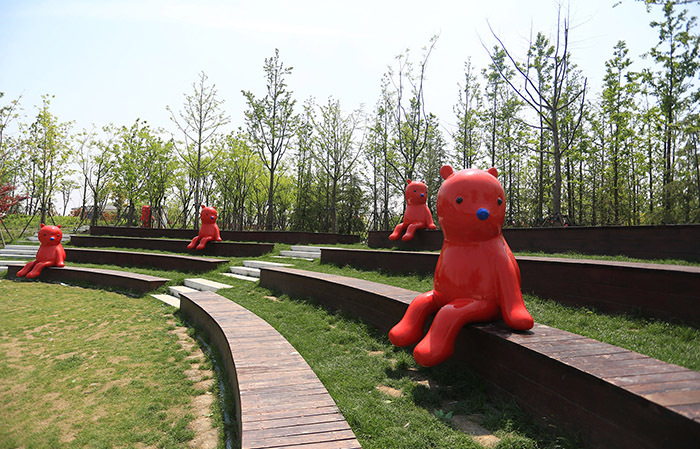 By 2017, the Group has helped to build two major scenic spots, the Marco Polo Miracle Garden in Shanghai and the Marco Polo World in Yangzhou.